A sloped hood provides excellent aerodynamics and improved visibility. A galvanized steel cab mounted on airbags and shocks to soak up the rough stuff. 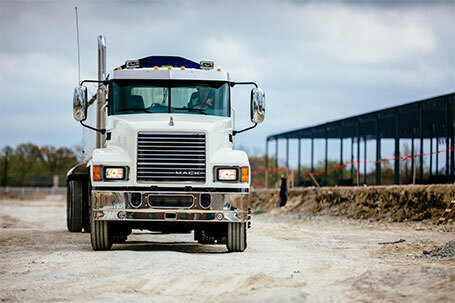 Granite’s proven CornerstoneTM chassis provides rock-solid performance, durability and reliability. V-MAC® IV offers both drivers and managers a way to boost productivity and control costs. The Co-Pilot™ driver information display provides real-time fuel economy and trip data, detailed maintenance and fault summaries, and supplemental sensor readings. 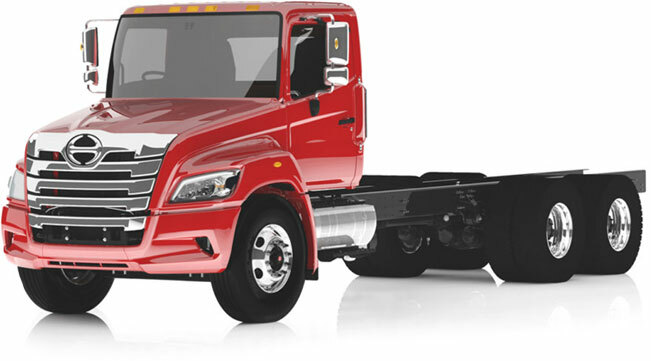 The chassis is engineered to allow maximum wheel cuts, which provide superior maneuvering in tight spaces. BodyLink wire harness connectors aid quick and reliable body hookups. 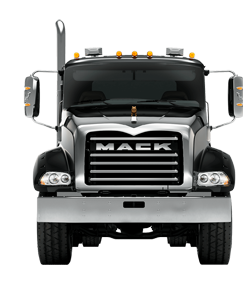 The Mack® Granite® offers extreme flexibility to tackle a wide range of applications and excels at a host of configurations, including dump, dump with lift axle, multi-axle dump, mixer, rear loader, roll-off, snowplow, twin steer mixer, tractor and tri-drive tractor. 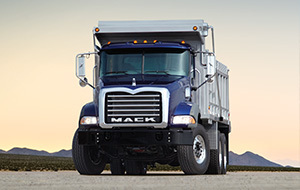 The Mack MP engine series delivers power, durability and great fuel economy. Camelback suspensions handle big loads and harsh jobsites with ease and stability. The Granite® is engineered to give you peak performance at its most efficient. Each purpose-built Granite features precise engineering to improve fuel economy and drive down costs with its highly fuel-efficient MP® engine. The MP® Engine Series propels the powerful Granite®. 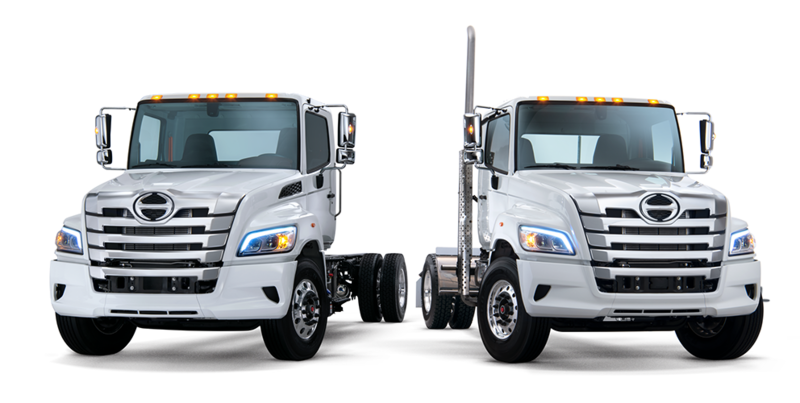 These highly fuel-efficient engines deliver plenty of horsepower plus low-end torque to give you all the muscle you need to conquer the jobsite.